Sometimes the key to success is getting a good start. This a guest post by Joey Trebif. If you’d also like to guest post here on JobMob, follow these guest post guidelines. You are on the ledge, inching forward one tiny step at a time. It took a lot of courage to get up here, now you just need to step off. You know that once you step off there is no turning back, but you hesitate yet again. It's a beautiful day, sunny and no clouds in the sky, a great day to be out here. You finally find the courage to move to the end and you step off. You drop quickly and look up at the brilliant blue sky before you hit. Your journey ends and you plunge into the water, the pool water is not as cold as you thought and, now that you think about it, the diving board is not really that high. If you have started your job search, how do you focus? First, you need to have a plan to focus your search, set goals and track your progress. Job Search Checklist – This article from quintcareers.com provides an excellent guide for developing a plan of attack.The article has 5 parts with quite a few links, but the very first section (Part 1) focuses on planning and preparation with 10 or so points (understand the process, understand the jobs that interest you, creating your list and more). Job search planning – steps, tips and tricks – Keppie Careers offers this blog post which has a number of great tips, such as “Identify your 3%” (I don't want to give this one away so read the post) and Identify companies. There are quite a few more, and all are worth the read. There are additional links at the bottom of the page for related posts. Create a Job Search Plan – A short article by Careeronestop.org provides 2 job hunting truths, namely that 1) job search takes time and 2) you need goals and a schedule. The blog provides some useful links (like a job hunting schedule, job web sites, finding potential employers and a few more (including resumes and networking). CareerAlley Website Tracking Template – This template, created by yours truly, is posted on a shared section of Google Docs. You don't require any special software as this is a Google Docs spreadsheet. Use this to keep track of which sites you've visited, when you visited and any special comments. Once you load the document you will want to click File, Export, select .xls and then save the file to your local directory. Keeping track is an important part of the process. 5 Great Job Hunting Strategies that Will Get You Hired – This article, published on Zoomstart.com, provides a number of tips on cover letters, resumes and interviews as well as some other advice. 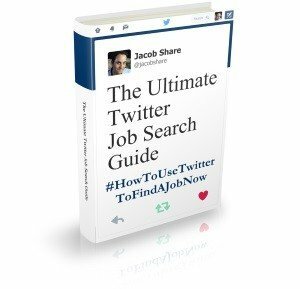 Certainly worth a read as you build your Job Search Plan. There are also some key facts at the top of the article (like the infamous “90% of jobs are not advertised”). This article is part of the 3rd Annual JobMob Guest Blogging Contest. If you want Joey Trebif to win, share this article with your friends. If you liked this article, you'll also enjoy 9 Tips For Applying To Job Openings When You’re Feeling Desperate. 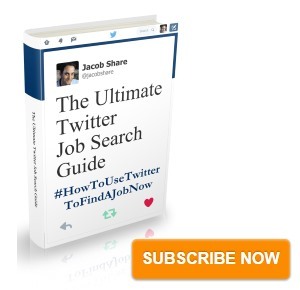 Subscribe to JobMob via RSS or email and follow me on Twitter for more ideas on how to start your job search. I have really enjoyed the posts you place on this site. Great list of specific facts that help people get the process moving. Keep up the good work!! Nice post. Thanks for sharing this useful information. The post seems to be very informative one. Good points are given for the job seekers. I knew a good job site who provide a good service fro the job seekers and the job providers they are specialized in matching the applicants and the recruiters.